A little bit of sweet for today in the form of a pink frosted cupcake, with sprinkles and a cherry on top. 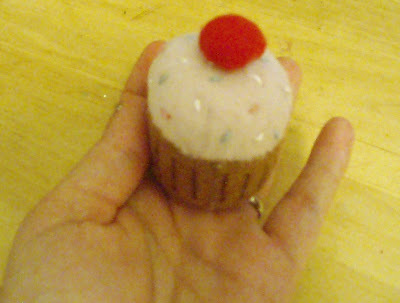 Nom nom..
You very possibly can't see, but trust me that this is a keyring - it has the fob at the base of the cupcake. Can't promise but there may be some exciting bigger things on here over the next week or so. Watch this space!